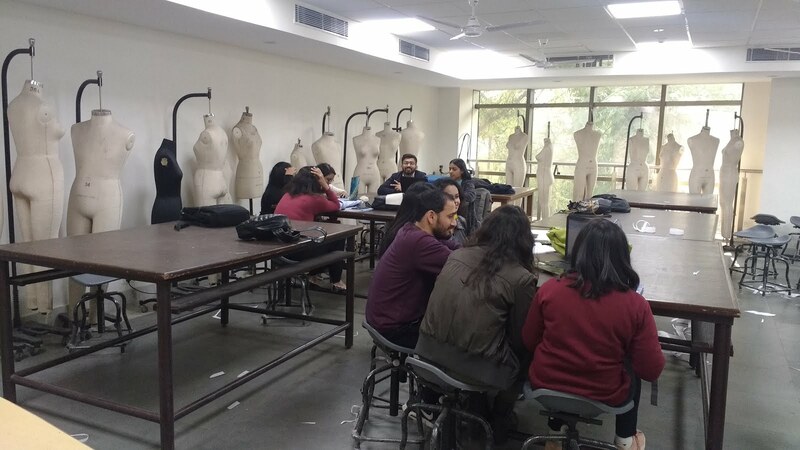 The NIFT admission 2019 counselling dates are fast approaching. Soon the final decision of “whether to go for having a Master in fashion technology (M. FTech) or continue what I am perusing” need to be made by you. This question also raises with it a lot of questions regarding the pros and cons in perusing with this career choice. Currently perusing masters from NIFT, New Delhi, I myself faced a lot of questions during the admission and later during subject generalization so in this article I am going to share the various subjects that the M. FTech program is going to put through the 2 years of college. 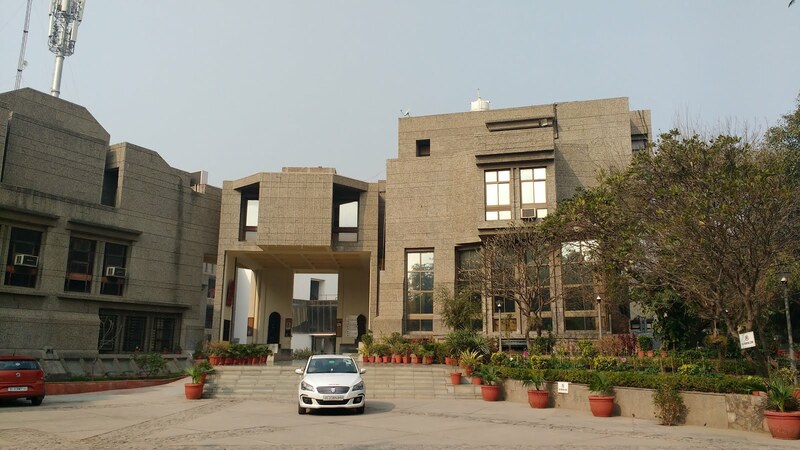 Since the admission criteria allow all postgraduate students from engineering background for this master’s program which include students from Textiles, Computer Science, Mechanical, Electrical etc., students have to be made comfortable with the change in their stream. And the syllabus has been designed keeping that in mind only. The first semester is like the introduction to this program. It focuses on giving the students a clear understanding of the process of the apparel industry knowing which students will be able to carry out further study in the field of their interest in subsequent semesters. This includes imparting knowledge about the global fashion industry, its impact on our lifestyle, and a lot more. More importantly, students will be able to map out the functioning of the fashion industry and its supply chain entities. The first semester would also include subjects which will help getting acquainted with the design process and various terminologies related to the fashion industry. It also includes a brief introduction of the backstage story of the garment manufacturing process and with all the challenges faced with it. If we think about the practicality of this semester, students get an ample opportunity to get their hands dirty “literary speaking” on various types of machinery related to apparel manufacturing. Thus, getting hands-on experience with the heart of the apparel production process. For me, the most interesting part was that of pattern making where we get to know about the “science” behind the pattern making so that we can generate a fitted pattern and manipulate them to achieve the desired style imagined. The best part of this is during test fit where we get to see a 2D pattern assembled and joined to form a 3D garment. From the second semester onward students are given a choice to select from “Operation” and “Strategy” which are basically two faces of a coin. Often students get confused with this as they become unaware of their choice and what impact will it have on their future goals. I’ll try to differentiate and explain the difference through the subjects as much possible so that the options become clear. Starting with the common subjects, the second semester includes subjects on chemical processing of textiles and garments, detailed garment manufacturing principles and techniques, introduction to marketing, merchandising and retailing sector of the apparel and fashion industry, product costing, and plant layout management. The rest of the subjects are divided based on the operation and strategic course syllabus. Operations subjects are more focused on the production aspects of the garment industry. The subject topics more detailed information on the manufacturing processes of apparel like techniques and methodologies for higher productivity and efficiency, quality aspects throughout the manufacturing process, maintenance engineering, application of pre-determined motion and time study. Then there is pattern engineering, which continues from the point left in the previous semester. Apart from this, there is also garment construction where students get to know about the construction of a garment from its component parts. Strategic subjects are more focused on the business aspects of the apparel industry. Subjects include finance management which as the name sounds deals with the understanding of finance and accounting in the apparel industry, retail management technology which makes the students acquainted with the retail organization and its operations through various tools of planning, implementations, and management, International business familiarizing international trade concept for both apparel imports and exports. One of the important subjects for ‘strategic’ is supply chain management which let the students understand the supply chain as a flow of material and information from an idea to a consumer generalizing apparel industry. The second semester also includes an industrial visit possibly in textile mills, solution providers (software & technology), testing labs, trim and accessories manufacturers or any service providing companies like embroidery/ printing/ washing etc. where students can decide according to their field of interest. The common subjects for the third semester include entrepreneurship management and business plan development which topics the various project management tools, financial know-how for becoming a successful entrepreneur. Enterprise resource planning is also included where students get to know about ERP software like DATATEX-NOW which is very much specific for garment industry along with effective ERP implementation. 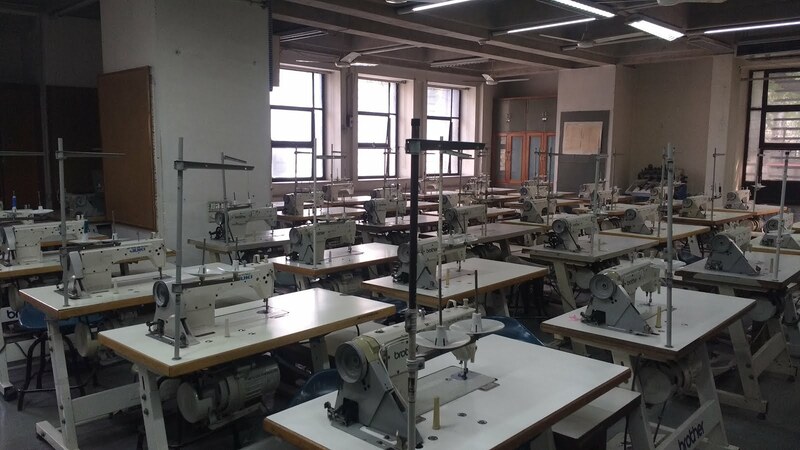 Now coming to operations there is advanced pattern making and construction, ergonomics, and workplace engineering which consists of effective implementations of ergonomics in the apparel industry and finally, Apparel CAD which introduces various CAD software that is used in the apparel industry. The strategic subjects include apparel technology management which focuses on the various level of technology, selection and application of various technological tools both in hardware and software for an organization along with web-based data management system as a subject so that students get a basic understanding of HTML and database systems. The third semester also includes a 12 weeks internship where students gain a practical exposure of an apparel industry and use the knowledge gained for a real-life project and/or assignment. During the internship, students are expected to get hands-on experience in the apparel manufacturing process along with proper documentation. Finally, in the fourth semester, there are no subjects, but the students need to undergo a research project/ graduation project on the field of their interest. After completion of the research project, students need to present their work to the college for final validation. The project cycle starts from the end of the third semester with the finalization of the project and continues with the final semester. The project duration is of 16 weeks and the students need to complete their research project within that time frame. Apart from the above, there are some subject additions from 2019 keeping in mind the future of the apparel industry. The smart factory which would aim to develop industry 4.0 capabilities and all its various tools in the students and smart garments which will focus on technical textiles and its implementation in apparel. Since the subjects are very new, how it will be implemented within the syllabus is still unknown, but I would update the information accordingly as soon as possible. Introduction to NIFT Master in Fashion Technology course details. Subject names and coverage in 4 semesters.